The Collegium system came under renewed attack from the Centre on Friday, when it accused the collegium system of undermining the efficiency of courts. Solicitor General Ranjit Kumar, supplementing Attorney General Mukul Rohatgi’s submissions argued that the “collegium was a failure” and that it was unfortunately working on a model of “intra-dependence” of judges where they decide among themselves who to appoint. “I can cite 20 cases as examples but I don’t want to take names. There is a former chief justice, who became a Supreme Court judge, who had said 'I have to obey my masters to appoint judges in the HC because I want to go to Supreme Court'," said Kumar. Kumar said, "The collegium system has no transparency and lacks accountability. In contrast, the National Judicial Appointments Commission, brought in by a constitutional amendment, has the necessary checks and balances. NJAC will strengthen the independence of judiciary." With the collegium system under attack from the government, the Supreme Court said that the new National Judicial Appointments Commission (NJAC) can also make mistakes in selection of judges and that the President had not been given better status under the new law. A Constitution Bench headed by Justice J S Khehar observed that since the NJAC will also appoint judges on the basis of materials available with the members, they could also make mistakes. 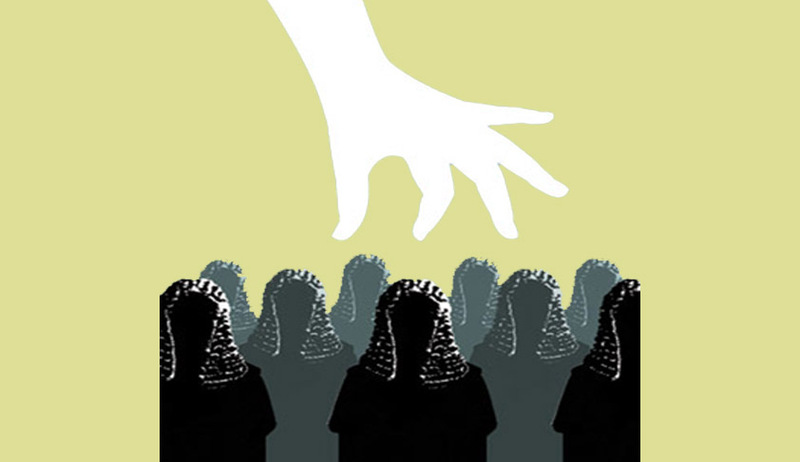 “The point is not who selects the judges; a collegium or NJAC or some other body. Selection is to be made on the basis of available material in any system and hence anybody can make mistakes. One of the most important questions that will arise in any system would be who can judge the potential of the candidates better,” it said. The Bench, also comprising of Justices J Chelameswar, Madan B Lokur, Kurian Joseph and Adarsh K Goel, said that if collegium was to be criticised for allegedly curtailing the President’s power in appointing judges, the NJAC was no better. “The power of the President is completely circumscribed under the NJAC. The NJAC Act says he ‘shall’ accept the recommendations made by the Commission. So the President has to mandatorily accept such recommendations. But you keep arguing that collegium was bad since it circumscribed the President’s power,” it said. Earlier in the day, the Supreme Court Advocate on Record Association (SCAORA) opposed the government’s plea for referring to a larger bench the challenge to the NJAC contending that the issue before the court was whether it was in conformity with the basic structure of the constitution or not. The SCAORA told the court that both, the 1993 “second judges” case which gave primacy to judiciary in the judicial appointment and the subsequent 1998 unanimous opinion reaffirming it, gave way to the constitutional amendment act, 2014 and the National Judicial Appointment Commission Act, 2014. The SCAORA submitted that the issue before the court was not whether the primacy of the judiciary in judicial appointment was embedded in the NJAC but whether the appointment of judges through NJAC upheld the independence of judiciary which was the part of the basic structure of the constitution. Senior counsel Harish Salve appearing for Haryana urged the court that in order to give weight to the entire consideration of the issue, the matter should be referred to larger bench of nine or 11 judges. He said that the issue involved - the appointment of judges - was pivotal to the democracy and for an authoritative pronouncement it should be referred to larger bench. Appearing for the intervener, senior counsel TR Andhyarujina wondered could it ever be a case that in order to uphold the independence of judiciary, the appointment of judges should rest with the judiciary? He said that this view finds no support either in the constitution or in any jurisdiction in any other countries. “If appointment of judges by the judges is a part of the basic structure, then 1993 judgment needs to be relooked,” he said adding that jurists world over has described this as an appropriation of judicial powers by the judiciary. The court also sought to know from the government whether it would be proper for the five-judge Bench to decide the constitutional amendment and the NJAC Act independently while the issues relating to the reconsideration of the Second Judge’s Case could be referred to a larger bench. Attorney General Mukul Rohatgi said he would agree to this if the Bench passes an interim order stating the Court would not look at the nine-judge bench judgment in the Second Judge’s Case. Refusing to do so, the Bench said that this could not be an embargo and that the Court would definitely look at the Second Judge’s Case. Attorney general Mukul Rohatgi said the problem faced by a few additional judges, whose two-year tenure could come to an end during pendency of the challenge to NJAC's validity, should not deter the court from referring it to an 11-judge bench. "I am ready for an interim order from the court on the issue to protect the additional judges," he said. "What is the hesitation in referring the matter to an 11-judge bench? It is a matter of huge importance," the AG said. But the bench retorted, "AG, you please don't start deciding how many judges should hear the matter."